Experience life at Monster High™ with themed dolls and play sets. Each features a favorite character, a larger piece with working features and iconic accessories for storytelling fun. 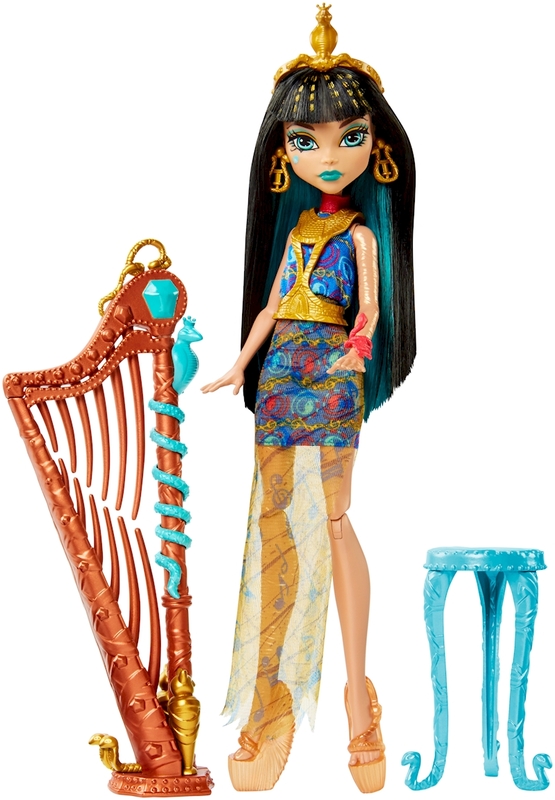 Cleo de Nile™ doll is ready to hit the right notes with her golden harp that hides a comb – pull out the top half for a doll comb or child-sized hairpiece. Egyptian details, like an asp and “jeweled” top are regal touches for this daughter of a mummy, plus a blue stool helps her make boo-tiful music. 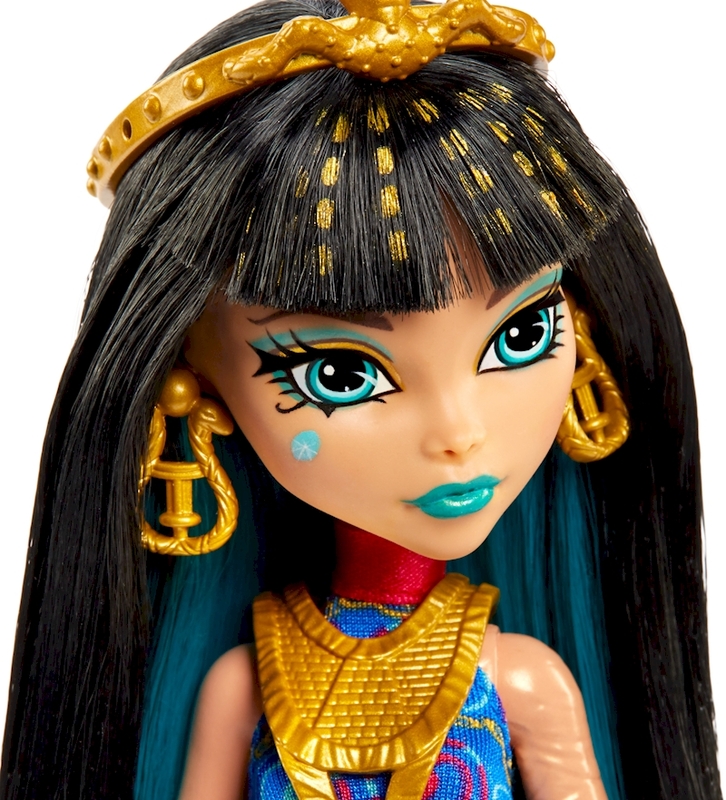 Cleo de Nile™ doll comes alive in a gore-geous dress with gem-inspired print and a shimmery overlay on the skirt. Wrap-decorated shoes, golden earrings, an asp-decorated bracelet and a golden tiara complete the uhhh-mazing look. Recreate life in the howlways of the iconic school or find adventure in the monster universe.